-Colors may vary. Requests are possible. 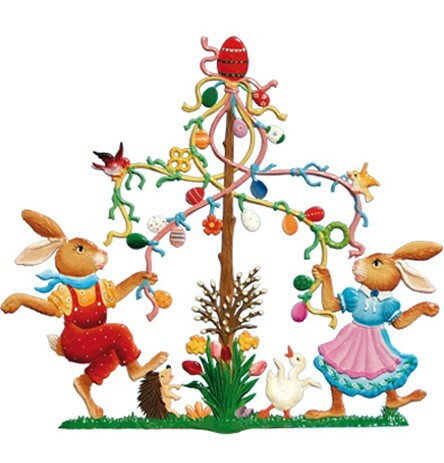 This German pewter Easter Dance standing ornament is hand made and hand painted, resulting in a truly unique Easter decoration. Browse through all of Wilhelm Schweizer's ornament and figurine collections for an Easter collectible or gift.